1. We invented cable television. Because of all our beautiful hills and valleys, people had a hard time getting good TV signals. That’s why we invented the cable, to bring all our favorite shows straight into our homes, nice and clear. This is actually my husband’s favorite reason for loving PA.
2. Pretzels. We introduced the pretzel to America, and we are still its biggest producer. We also have the single longest continuously operated brewery in America (Yuengling), but since I don’t drink (anymore!) I don’t really care about that. 3. We have no superiority complex. It’s not like we have any beaches, or huge mountains, or giant cities. And even though the Declaration of Independence AND U.S. Constitution were written here, we don’t rub it in everyone’s faces. We’re just ordinary folk who work hard. 4. Our number one industry is farming. I adore our vanishing farm fields, hedgerows and barns (hex signs included!). Our biggest crops are mushrooms, Christmas trees and chickens—and dairy products, too. Taylor Swift grew up on a Christmas tree farm in Pennsylvania. She’s another reason I love our state. 5. Our state insect is the firefly. If you haven’t seen a late July field filled with fireflies at night, you haven’t truly lived. By the way, the farm has to be organic for the best show. 6. FARM SHOW! It’s the largest indoor agricultural expo in America and it rocks! 7. We never burned a witch. In fact, we practically invented the concept of religious freedom. William Penn, a Quaker, had suffered from discrimination in Europe. So he was adamant about protecting all religions, including witches. 8. You can’t avoid reality here. There is really no such thing as a homogeneous population in PA–we’ve got all sorts of different people all living right next door to each other. It’s not fancy, it’s only occasionally upscale. It’s how people really live and I like it. 9. Polka! Make fun of it all you like, but I dare you to polka without laughing! 10. We’re quirky. Where else are you going to find places like Knoebels Grove, the amusement park that hasn’t changed since 1950. Or Roadside America, the miniature train village where Lou and I went on our first date. We’ve got hex signs, Miller’s Restaurant—home of the Pennsylvania Dutch Smorgasbord—and the quaint Port Clinton Peanut Shop at the base of Hawk Mountain…and that’s just some of the stuff I know of that’s close by. Will People Ever Pay for News? Vote Yes or No! PA is beautiful in every season, too! My Allentown born and bred husband brought me to the Lehigh Valley region after many years of city living and I’m so glad he did. I absolutely love living here for all of the reasons you state and more. I think I would add to your list that there’s a great mix of old and new here: pretzels and Cali Burrito, farms and the Da Vinci Science Center. And don’t forget that they make Peeps and Mike & Ikes here, too! I know they aren’t really healthy, but at least we can include them in our locavore diets! I moved to California in active military duty back in 94. I moved back to the east coast as soon as my term of duty ended and found a home in Pennsylvania in 1998. I loved the coastal views of CA too, but I REALLY missed the seasonal beauty of the east. I’ve raised my children here and enjoyed the great foods, the farmlands, the auburn autumns, and the breathtaking tree lined hills in Pennsylvania ever since. I am glad that people like where they live. it is important to value your surroundings. Maybe then people will care about protecting it. Unfortunatly Penn also ranks 14th worse in the country according to scorecard on pollution and enviromental toxin releases. According to score card Penn in relation to other states…. ranking is 0 to 100 or cleanest to dirtiest. Let me also add that my state does not fair any better… It is disheartening to see the ramifications of farming, manufacturing and industry. Yes, I put farming first, because farming is the HIGHEST point source pollution of our waterways ( fertilization, pesticide and animals waste runoff) and the leading cause of devastation to coral reefs. Birch beer, hoagies, pierogies, and pretzels are my favorite things about PA! Great list Maria. I need to come up with a Top Ten Reasons why I love your blog. Being a life long Pennsylvanian, I sometimes forget the greatness of our Commonwealth. I live in Plains Township, which is in Luzerne County, and we may have our ‘ups’ ‘and ‘downs’, but the ‘ups’ out weight the ‘downs’ hands down. Another fact Maria missed was the radio was invented by a priest n Wilkes-Barre. Imagine – all the songs, the news items, the great sporting events, the humor and sorrow that tiny instrument brought you. I am sure there are other reasons to Love Pennsylvania, but it’s probably best to find them by yourself. What about hamloaf?! 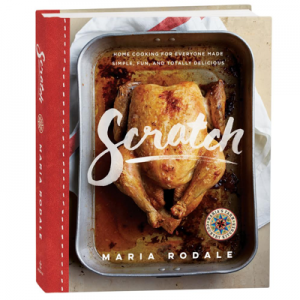 That’s got to be the BEST PA product that I miss terribly having moved to New York! I love Pennsylvania! I didn’t realize how much until I went to visit my daughter in California. Sure, SanDiego is beautiful, but very expensive! My daughter lived about 40 minutes away, in the desert area, El Cajon. It was sooooo hot! And dry, and brown! I missed home sooo much! When I finally arrived at my house, it was so beautiful, everything was green and it seemed like the rainforest! I would never want to live anywhere else! One of the big things I love too is our small town fair that we have every August, and hometown parades!!!!! Nothing compares!! Moving to PA in a few months. My boyfriend is living here and sends us back and forth to texas. this state is sooooo beautiful. Ive yet to see a firefly, and i can not wait to see them this summer 🙂 I have fallen inlove with the state. Id also like to add the living cost is much much cheaper then Dallas, a large reason why we have chose to move to Pennsylvania. the cost of tax is 2 times less than my area!! I hit the jackpot. Ever since i was a baby I’ve been going to Pennsylvania! My 2 aunts live there now and it has really made me happy. I love my family but Pennsylvania is my home. I never realized how much it made me think of living there one day. It is beautiful and has so much nature involved there. The mountains are the best part! If anyone is looking to move there it is most likely a family place . And so quiet to enjoy playing outside if you have kids. Or just peaceful enough for you to enjoy time with family or friends. I will be moving to Oley, PA in about 2 – 3 months, to a beautiful farm named Black Walnut Farm. I have lived in Paradise Valley, AZ for the last 32 years and love to garden in our desert environment but have no idea how to garden in PA farm country. 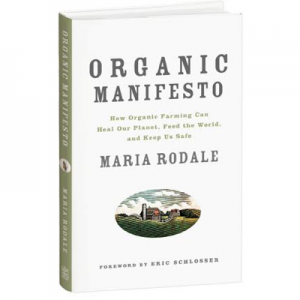 Our family subscribes to Rodale publications so I am very interested in receiving the newsletter from Maria Rodale! I lived in Perkasie PA for almost 5 years…was from the west coast and came back to California…I regret it everyday. I love the trees, the hills, the people who talk to you very frankly, the food….I really miss the seasons. In the near future I want to come back and retire there. For me, PA will always be HOME. I grew up in Littlestown, 10 minutes south of Gettysburg. I have lived in many other places and none compare to Pennsylvania. I love it but if I ever move back, it won’t be to my hometown! A promise I’m keeping for my 16 year old self! I don’t understand why people bash Philadelphia and the surrounding Delaware Valley. There is no better place on earth to me. So lush and green with all 4 seasons but on the milder side. We are within a 1.5 hour scenic drive to New York, the Pocano Mountains, Amish country, Washington DC, and the South Jersey shore there is so much to see and do. While the rest of the country has so many natural disasters, we are having the most perfect weather this summer. Like all cities, there are some sections of the inner city that are dangerous but the suburbs are safe and many towns are quaint. Central Bucks county is the best! There is no place like home!! !